What used to be an unassuming storage bin near the 400 buildings on the Diamond Bar High School campus is now a work of art, thanks to the Da Vinci’s Hub Art Club. As a relatively new club, this was the first major project it undertook— a mural of a Brahma pieced together like a jigsaw puzzle, with contrasting colors on each piece painted against a grey background. “We’re all different, but we come together to perform in one big picture, which is Diamond Bar High School,” club President Jotsaroop Singh said. The inspiration behind the club’s name, Da Vinci’s Art Hub Club, originated from the diverse talents of the Renaissance man that Singh wanted the club to reflect. “Da Vinci wasn’t just an artist. He also made sculptures, cool devices — he did these things, so that’s why we chose Da Vinci. He was a versatile artist,” Singh said. The club started in Singh’s sophomore year as the previous art club on campus, Doodle Club, was inactive. Singh made the club with a few of his friends with the intention of creating a fun place for students to come together to make art. However, the club had an unclear purpose and members drifted away, which spurred Singh to organize a major project to attract more members. He then organized his ideas for painting the storage bin mural and took a job over the summer to make enough money to buy the supplies needed to paint the mural during the school year. For five days, Da Vinci’s Hub Art Club members worked on it daily after school for two hours, applying primer during day one and later sketching the outline of the design, filling it in with colors and refining the details. While the project started out with just a few of the Da Vinci’s Hub Art Club members, more students joined in as they noticed the work in progress. On the last day of the project, students who worked on the storage bin mural were invited to sign their names. Seniors Singh, Jeffrey Chang, Connor Wu, Timmy Liu, Khang Phan, Vincent Huang, Chris Chang, Samuel Lu and junior Hannah Gao signed their names in the empty space next to the mural. 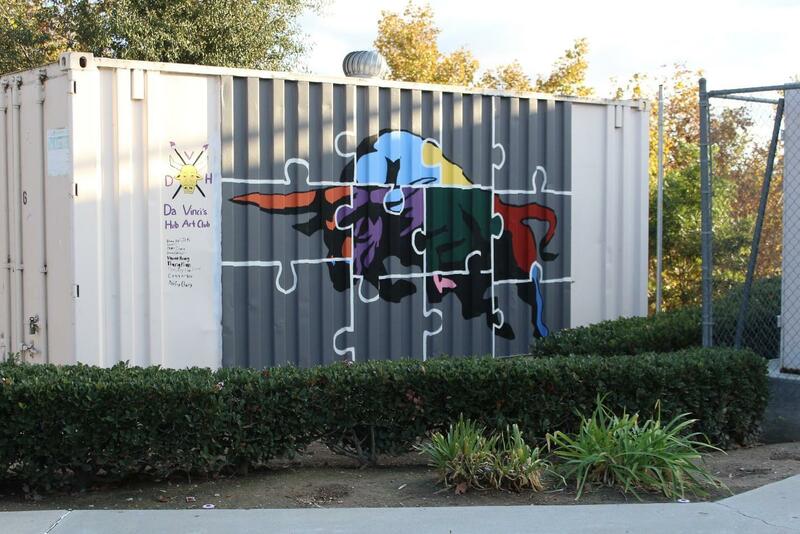 For permission to paint on the storage bin, Singh received approvals from Activities Director Janna Van Horn, Assistant Principal David Hong and former Operations Manager Doug Mefford. He then had to make the decision regarding the location of the mural. Singh chose the area between the 400 buildings and the lunch area, saying that despite the difficulties of painting the bin with the awkward position of bushes and the rocky ground there, it would have a chance to be seen by students. “I was impressed with their idea and how ambitious they were to complete it so quickly. 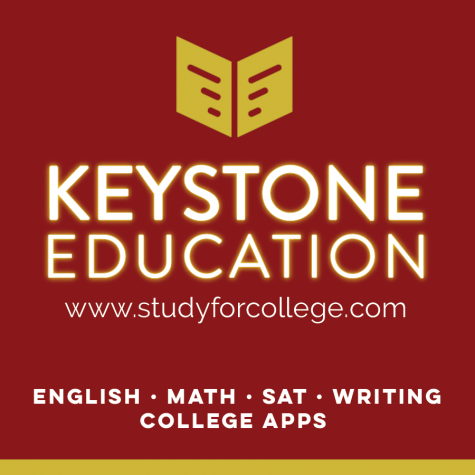 You need a lot of communication to do something like that,” said art teacher Vianney Hwang, advisor of the club. The Da Vinci’s Hub Art Club plans to do another project soon, especially because their first venture into a big scale project proved to be successful. Singh mentioned the possibility of painting another mural on the DBHS gym.